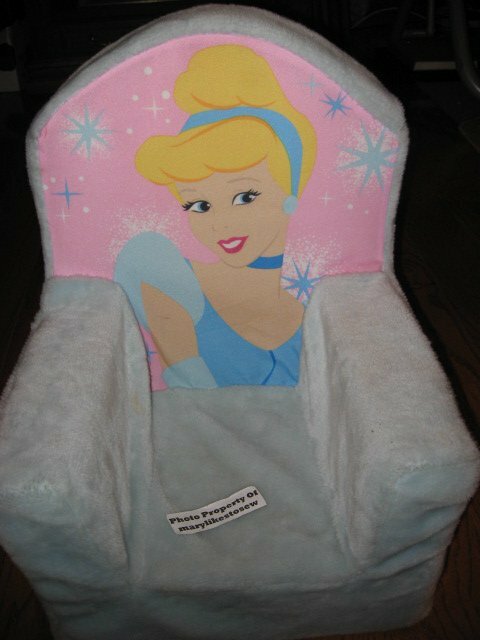 Cinderella kids toddler foam chair. This chair is real clean, It has a zippered bottom, and the cover is washable. The white tag in photo is for picture identification. It is not on the chair.